Automated Emails are hype on social media lately, email are remains the most potential solution for driving business today. Because people are more likely to receive email from companies. A study found that around 70% of US adults prefer to communicate via email. The global email user today to be around 2.6 billion, and Facebook has around two-thirds of that. And Adobe found that they are spending around 20% more time in email inboxes this year. Email remains flexible and universal messaging platform. It is simple and direct in its approach, and it continues to adapt on evolving marketplace. Email marketing will allow us to send longer, targeted messages to our leads and customers. When marketers write about how much they love to have new generation of marketing automation tools, they are almost referring to the functionality that email can send segmented, personalized, and triggered emails. When we want to make sure that the right people see the right content at the right moment, the email wins. Companies that use email automation, can get their conversion rates rising around 75%. Automated emails and email drip campaigns deserve a central spot in every marketing strategy. When your e-commerce business nurtures leads via triggered email messaging, your average order value and conversion rates are likely to rise. Creating automated emails workflows is one of the best ways to ramp up your marketing efforts. It also keeps your list engaged and clicking on your emails. After all, we all know that email has an extremely high ROI of 4,400%. Using automated emails to drive business can quickly become one of your greatest assets. What are the benefits of using automated emails to drive business? Automated emails sequences allow you to send customized emails based on your subscribers’ habits, without segmenting your list manually. This not only gives you greater freedom in your business, but it also allows your subscribers to receive personalized attention based on their interests and actions. This type of personalization can create long-lasting impacts on your reader relationship, not only giving you a competitive edge but also increasing the conversions you see. There are multiple types of automated sequences, each with its own benefits and triggers. Inevitably, there will be subscribers who will stop opening, reading or interacting with your emails, for one reason or another. Create a win back campaign, simple or complex, with the intent to show disengaged readers you care. These campaigns are especially helpful if your emails are sent sporadically or you’re looking to increase engagement. Learning why a subscriber is inactive could be valuable for re-engagement and attracting new users. Retention matters; It costs 5x as much to land a new subscriber than to keep a current one. Plus, email is the most reliable channel for customer retention. Oftentimes, a successful win back sequence will start with a brief survey. Using just a few questions, you can gain information on why your subscribers became inactive in the first place. Filling out this survey will encourage inactive subscribers to become active again. It will also provide valuable information on your current marketing methods, simplifying future retention efforts. Note Blue Apron’s win back sequence email below, which includes a promotion for users. To deliver highly targeted content, create sequences based on the following factors: pages in your funnel viewed, pieces of content downloaded, and specific subscriber behaviors. This is a great way to ensure interested subscribers receive relevant information, even if they belong to a niche part of your list. This will add more value for your subscribers, since it’s the best way to keep them interested in your emails. This will also make them more likely to buy the offers you send, especially if the offers target their sub-niche interests. Trigger sequences are another great tool when aiming to convert those showing passive interest. We often see potential customers fill out a form or click through but not complete the sale journey. 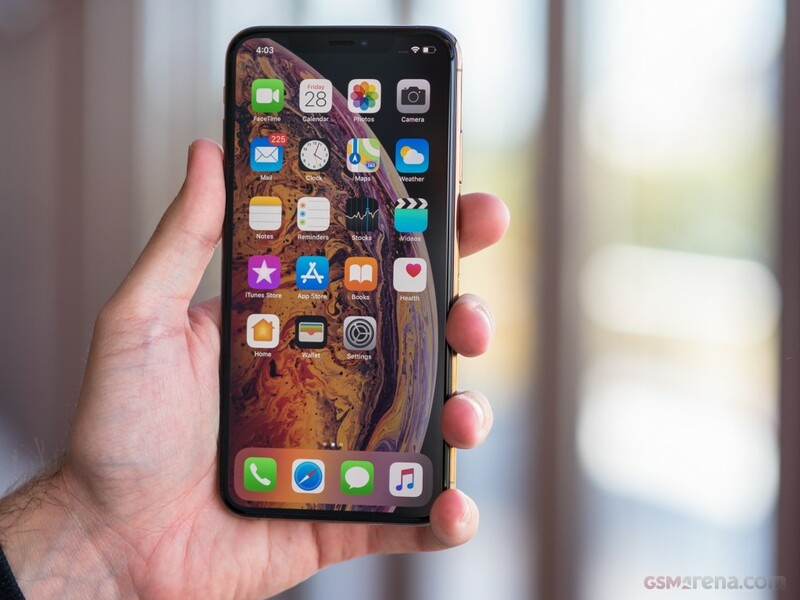 The Apple’s latest flagship phone, the iPhone XS Max recently launched. And the verdict? This is a very, very good phone. However, it’s also a very, very expensive phone. And to put the brand new iPhone XS Max in your pocket, you need to shell out a cool $1,000, minimum. But now is your time to win the chance to get your hands on these drool-worthy phones for exactly zero dollars. That means an incredible 6.8-inch Super Retina screen sans Home button. And it is backed up by the most durable smartphone glass ever, also it complete with water and dust resistance. Additionally, this processor for iPhone packs an A11 Bionic chip with 64-bit architecture. So this phone is a powerhouse for gaming, augmented reality, and other demanding tasks. Plus, it sports an advanced 12 megapixel wide-angle and telephoto camera system with Portrait mode, able to capture 4K video at 24, 30, or 60 frames per second. And beside that, there are facial recognition tech that serves enhanced security and your brand new addiction: Animoji. In about a month, early month next year on January 2019, the iPhone XS Max giveaway sweepstakes will pick a lucky winner whose phone will be the envy of all.